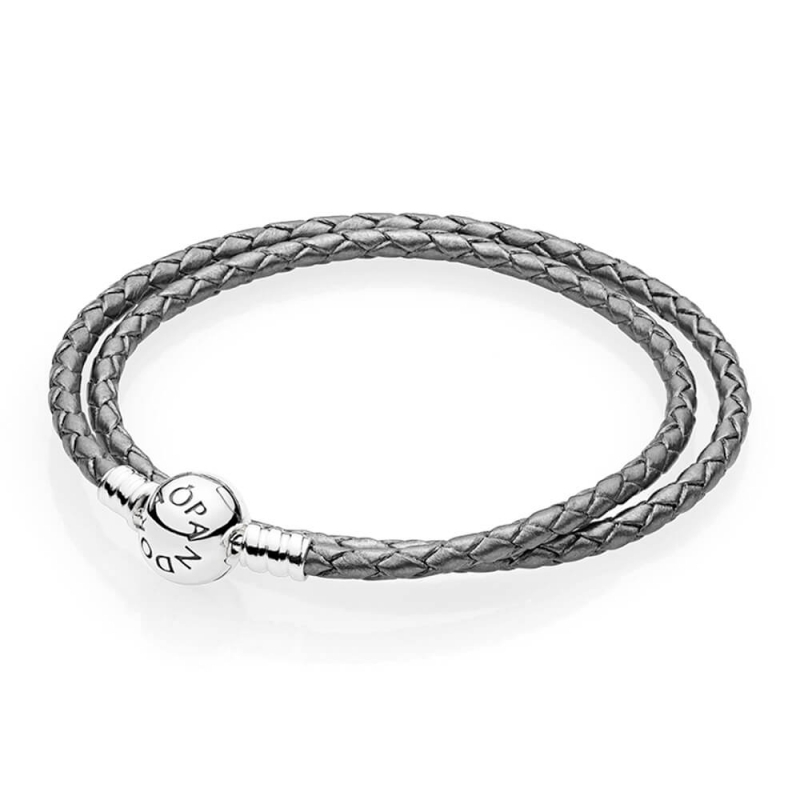 PANDORA Moments Double Woven Leather Bracelet - Grey. Made from 100% genuine zebu leather this gorgeous double woven bracelet is finished in a lovely grey hue, complete with sterling silver PANDORA round clasp. I had no direct communication with Gift and Wrap as I simply didn't need to. I ordered the item I wanted on their website, paid for it and they delivered. Simple and just as it should be. I was pleasantly surprised at how quickly it came and with the gift bag that arrived in the same package. Great service and I will definitely use again.